Great location on a quiet lane, just a short walk from tennis courts, playground, shop, pub, Clutha River and outlet track. Just a 1 minute stroll away are the Riverside Park amenities where you can enjoy a soak in the spa pool in winter, swim in the pool in summer, the gym, basketball hoop, BBQ’s, community hall and kitchen. Just across the road in the other direction is the large open reserve for cricket, football, flying kites or giving the dog a run. Easy access to Cardrona, Treble Cone Ski Fields and Snow Farm (approx 30 mins drive to access roads) and all that Wanaka and Queenstown Lakes district has to offer. Numerous mountain bike tracks are nearby, including Sticky Forest and Deans Bank. The house soaks up all day sun, has a large heat pump in the lounge, panel heater in the hallway and each bedroom, and double glazing throughout - you will not be cold in this house! The dining and living areas feature outstanding mountain views. North facing open-plan living and dining space with sliding doors that flow to the fully fenced (toddler safe) outdoor area featuring the patio and deck for alfresco dining. The kitchen is fully equipped with all the modern appliances. Two bedrooms feature king beds and the third has single bunk beds. Beds include electric blankets, brand new fabulous bed linen and woollen blankets. There is one family bathroom with a very large shower and a separate full size bath. Featuring excellent separate second living area with DVD player (not TV) for the kids or for those wanting some quiet time. 3 off street parks with convenient off street parking for the boat. Kids can scoot / cycle on the quiet and safe residential lanes. The garage has internal access containing a full laundry and drying racks for the ski gear. Wifi: Charges apply for internet use - $10 per day or $29 per week. The house uses a service called Netspeed. This home is just right for your stay in Wanaka – not too expensive but has everything you need. Securely fenced property to suit our Spoodle dog. He loved his stay, very handy to Wanaka etc. We would have prefered that there was Sky TV rather than Dish TV considering the nightly rate. We found this lovely house really comfortable with all the amenities we needed. 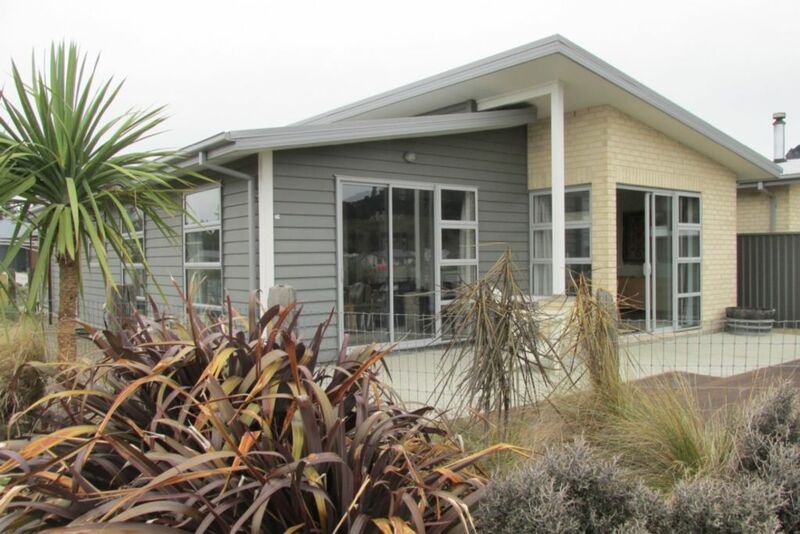 Nice modern decor, comfy beds and ideal location for relaxing, walking and visiting Wanaka. Peaceful ,light and bright away from the crowds but close to some very nice amenities including great cafe, pub, shop and lots of lovely walks. Suited us all including a very happy pooch. Thanks for a great stay. Great property. Access to pool is superb bonus. Very well presented property. Would definitely recommend and stay again. Lovely property, beautifully maintained. Idealy placed near parks & public amenities. Pleased we chose Albert town , as Wanaka is now so frantic, & not as relaxing as it was in past years.